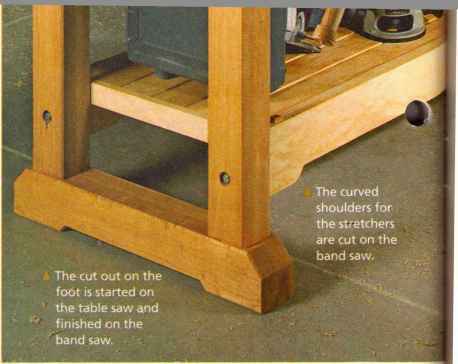 When it comes to cutting the feet and stretchers for the workbench on page 20, a few cuts on the table saw and band saw will get the workpieces in shape. Then it's just a matter of cleaning up the edges with the router. BEVEL CUTS. 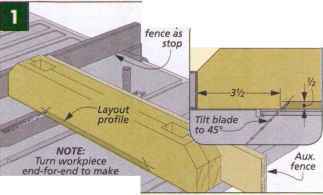 The first step in making the foot is a bevel cut near each end of the workpiece. To do this, I tilted the saw blade to 45° and set the height at Vi\ as shown in Figure 1 below. BAND SAW CUTS. 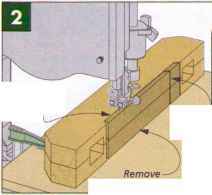 Now that the bevel cuts are made, you can take the feet over to the band saw and remove the waste across the bottom, as shown in Figure 2. You'll want to cut the waste at a gentler curve away from the corners you just cut on the table saw. That way the saw blade won't bind. Once you've made the cut in one direction, turn the workpiece and cut out the waste on the other end. SMOOTH THE EDGE. The final step is to clean up the rough-cut edges using a pattern bit in a router. To do this, you can clamp a straightedge along the layout line. Then using the straightedge to guide the pattern bit, make a pass stopping as close to the beveled corners as possible. Then flip the workpiece over, reattach the template and rout the remainder of the profile. 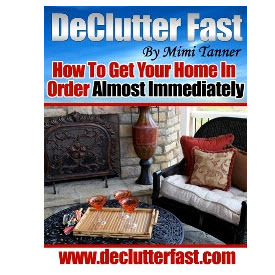 Finally, clean up the corners with a chisel. STRETCHERS. You can cut the entire profile for the stretchers at the band saw and then finish it in the same way as the feet, smoothing it with a pattern bit in the router. The curved shoulders for the stretchers are cut on the band saw. The cut out on the foot is started on the table saw and finished on the band saw. Clean holes for the candle centerpiece on page 16 could be a challenge if you don't have a set of large-diameter Forstner bits. A good option is to make a template that allows you to rout the hole with a pattern bit in a handheld router, sizing the holes to fit the glass candleholders. TEMPLATE. 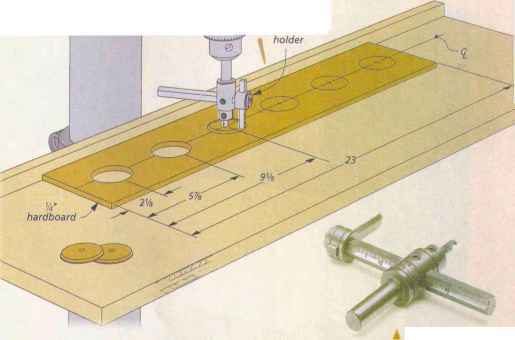 To make the template, cut a piece of hardboard the size of the base and mark the centers of the holes according to the plan. After you have the holes laid out, you can take the piece over to the drill press to cut the holes with a circle cutter. ROUTING THE BASE. Once the holes are cut in the template, you can attach it to the base using a few pieces of carpet tape in the corners. Now you're ready to cut the holes with a router. I used a pattern bit with a short cutting length so that I could take small amounts of material with each pass around the template. A circle cutter lets you cut any size hole. sweeps until you reach the edge of the template holes. Then remove the template and lower the bit about a V4" after each pass until you've routed out all the waste material and are left with smooth holes for the candleholders and at least a V4" of material in the bottom of the holes to support them. If the holders are tapered, be sure to use the upper measurement for the holes. A pattern bit with a Vi" cutting depth will take less material with each pass of the router. When it came time to nail the fretwork in place for the shelf on page 34, I was worried about splitting the delicate scroll work. The solution is to predrill the brad holes. Once the fretwork was cut, I drilled a hole through it the same size as the head of the brad I was going to use. Check the brad with a drill gauge to determine the correct size drill bit to use. Just be sure to drill the hole at a slight angle so the opposing brads won't hit each other. The intricate cuts and change of pace can be very relaxing. But, you also want to end up with something you can be proud of — something a little out of the ordinary that can be displayed. The shelf you see here fits the bill in every way. It's simply a mirrored frame wrapped with a pair of shelves and uprights. 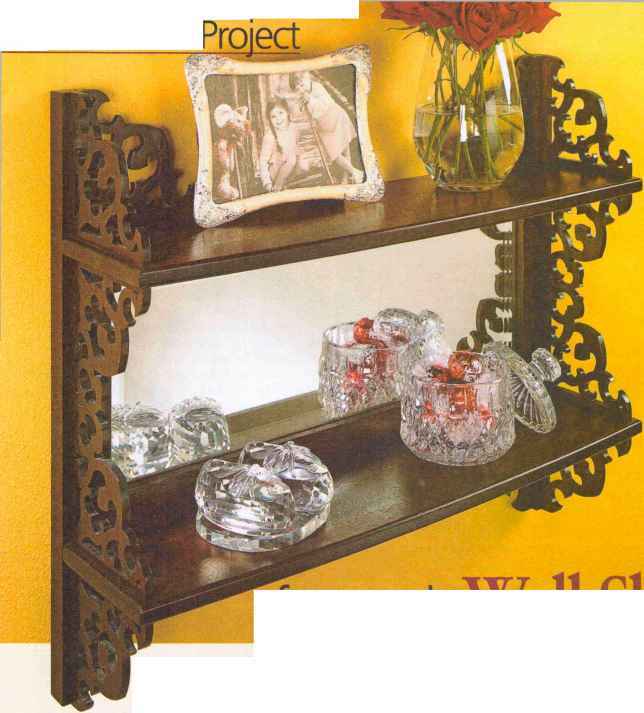 Of course, what really makes this project stand out is the fretwork. It may look daunting at first, but you'll find out that cutting fretwork doesn't take much time, and it's simple to create decorative motifs. 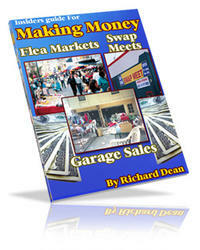 The procedure and patterns used for making it are shown on page 37.